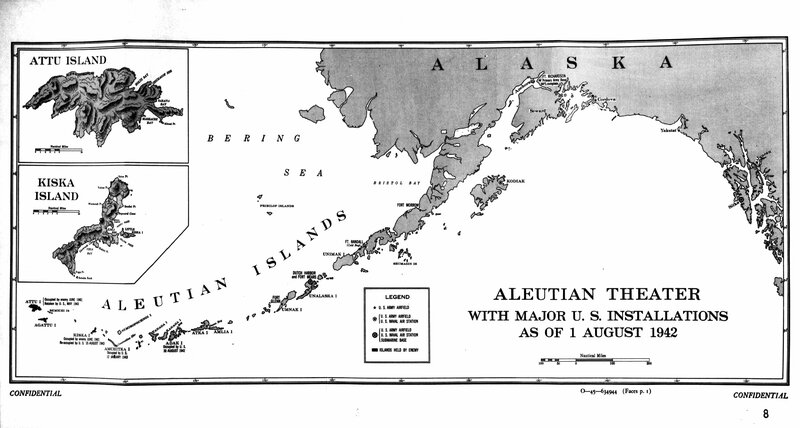 » Map of installations in the Aleutian Island Area as of 1 Aug 1942, prepared for the United States Navy Office of Naval Intelligence Combat Narrative report. Note that Attu and Kiska were listed as Japanese held. This photograph has been scaled down; full resolution photograph is available here (4,699 by 2,514 pixels).